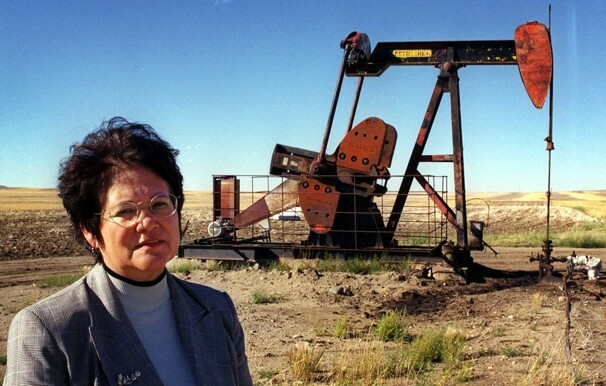 Elouise Cobell, standing in front of an oil well on the Blackfeet Indian Reservation near Browning, Mont., said she remembered her parents wondering why they weren’t getting paid regularly for letting others use their land to farm and drill for oil. As the lead plaintiff in a class-action lawsuit over mismanagement of Indian trust accounts, Cobell took on the federal government in an effort to reform the system responsible for distributing royalties and lease money to Indians for the use of their land. 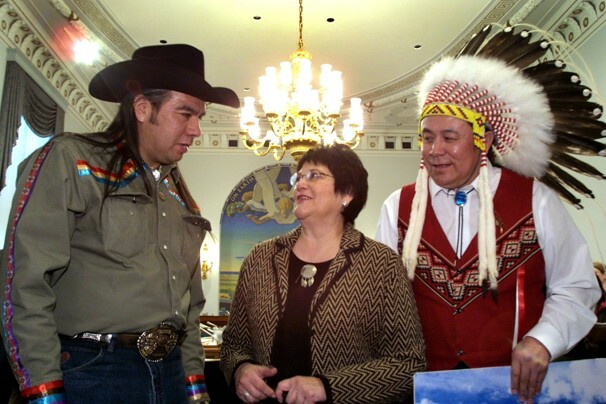 National Congress of American Indians President Tex Hall, left, Elouise Cobell of the Blackfeet Tribe of Montana and Jimmy Goddard from the same tribe appear on Capitol Hill. 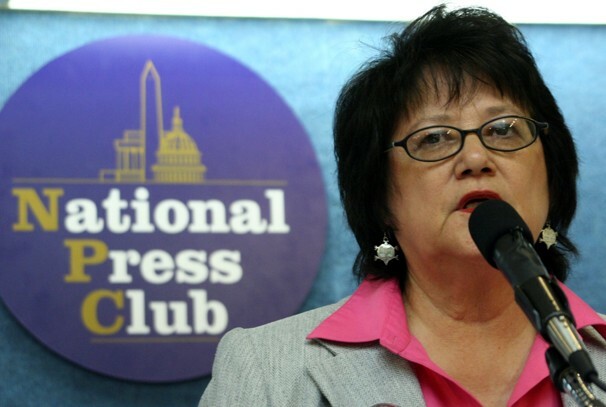 Lead plaintiff Elouise Cobell speaks at the National Press Club in Washington. Cobell realized the amount mismanaged since the 1880s could be hundreds of billions of dollars. She said she tried for years working with two U.S. government administrations to resolve the dispute, then decided to sue with four other Native Americans as plaintiffs when no progress was made. 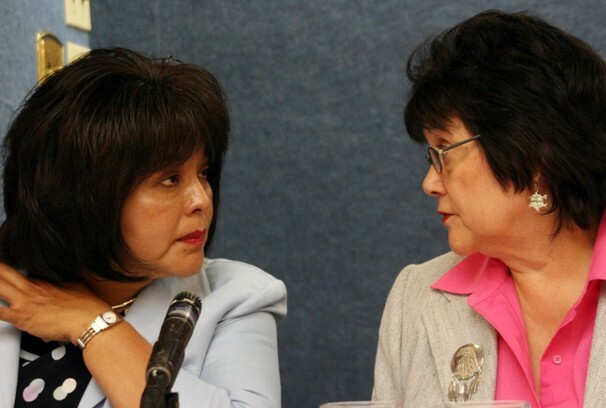 Elouise Cobell, right, talks with Sharon Clahchischilliage, executive director of the Navajo Nation, before a press conference at the National Press Club in Washington. 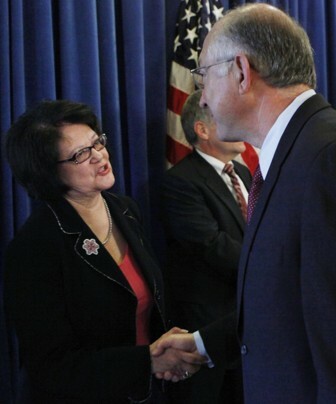 Elouise Cobell, a member of the Blackfeet Tribe from Montana who was the lead plaintiff in the class-action lawsuit regarding the U.S. government's trust management and accounting of over 300,000 individual American Indian trust accounts, left, is greeted by Interior Secretary Ken Salazar following an announcement on the settlement of Cobell lawsuit at the Interior Department in Washington. 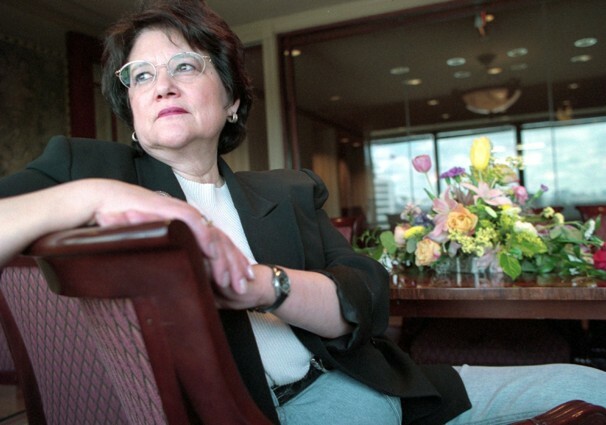 Cobell was the Blackfeet nation’s treasurer for 13 years and in 1987 helped found the first U.S. bank to be owned by a tribe, the Blackfeet National Bank, which is now the Native American Bank. She graduated from Great Falls Business College and received honorary degrees from Montana State University, Rollins College and Dartmouth College.